Disclosure: I was provided with the product mentioned below to facilitate this review. No other compensation was received. All opinions are my own. Every year on Thanksgiving we usually go to my sister’s house and my brother-in-law deep fries a turkey. We’ve ate our turkeys deep fried for the last 9 years or so. This year I decided to host Thanksgiving dinner at our house so we didn’t have to take the baby out. That meant I needed to cook a turkey. Truth be told, I’ve never cooked a turkey. Well actually I tried once at my mom’s and whether it was her stove or user error, it really didn’t work out that well. So you can imagine the “what was I thinking” spells that came over me. There was no way I was using a traditional deep fryer, they scare me. 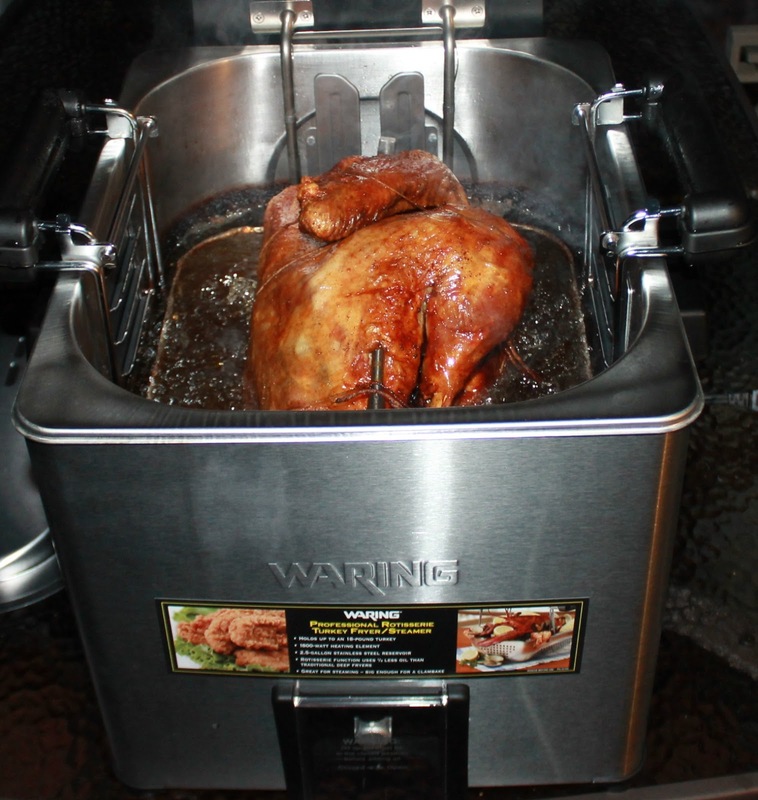 So when I found this Waring Indoor Rotisserie Turkey Fryer from Hammacher Schlemmer, I thought this is PERFECT for me. It was a little intimidating looking at it when I opened the box, but assembly was super easy that I did it all by myself and didn’t even have to bother the hubby for help. According to the manufacturer, you can cook an 18 lb. turkey in under an hour. Our was about 15 lbs. and it cooked in a little under an hour. The fryer uses about 1/3 less oil than typical turkey fryers and is easy to drain from the nozzle right on the front of the fryer. Since this was the first time we used the fryer, I didn’t know what to expect. I was worried about the smoke it could give off inside so we cooked it right on the patio table on the deck. After seeing that it only gave off more steam than smoke, I will definitely use it indoors next time. 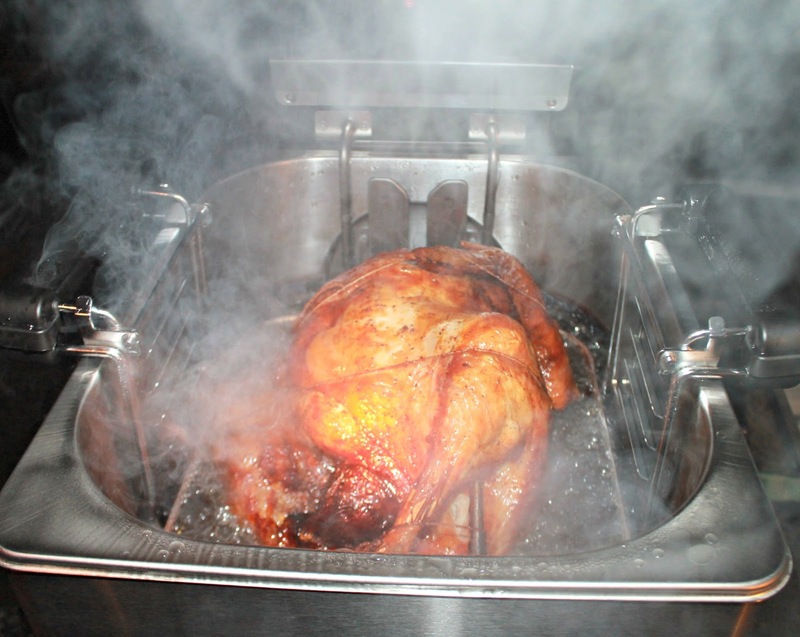 The fryer has a alternating-rotating spot that slowly turns the turkey as it cooks which results in a nice evenly crispy exterior and moist, flavorful meat inside. 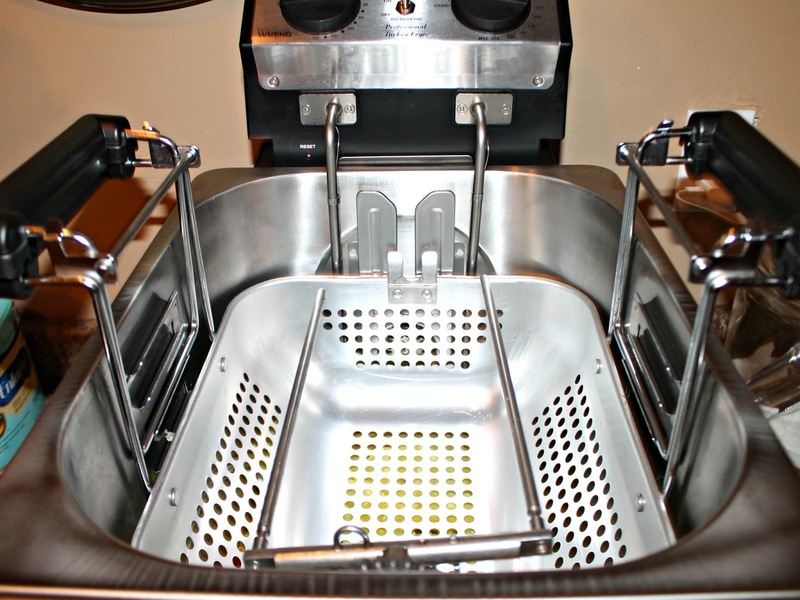 The great part about this fryer is that it can be used for so much more. Once the rotisserie is removed, the cooker becomes a standard deep fryer perfect for family-sized portions of battered fish, fries or even buffalo wings perfect for game day. It even doubles as a steamer for those summer clambakes. The indicator light lets you know when the 1800-watt heating element is ready and it even has a 120 minute timer. It also includes a meat thermometer to help ensure delicious results. You don’t have to worry about the oil overheating since the unit will automatically shut off if it does. Clean up is a breeze. With just some soapy water the entire unit was clean in a matter of minutes. Overall we are extremely happy with the fryer. We’re using it again this weekend to fry up some wings for the football game. Don’t worry I’ll be sure to share that recipe too! 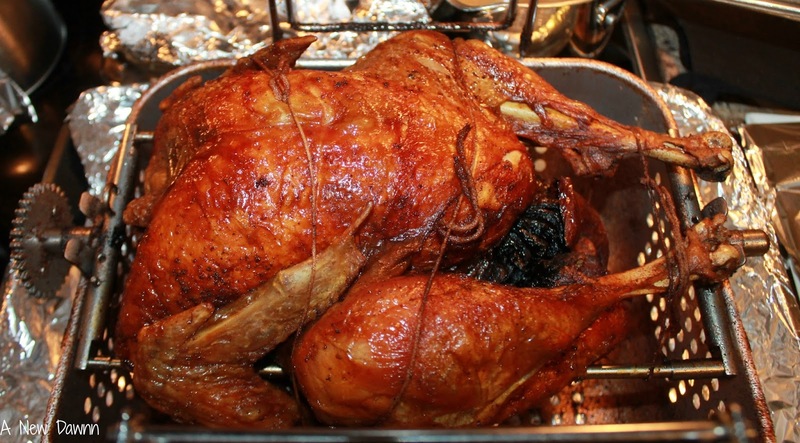 I've deep fried two turkeys in my lifetime, and for both of them…it was done under less-than-safe conditions…but they came out so good. I would have much rather preferred using something like this!!! I cooked my first turkey this year and it came out good. 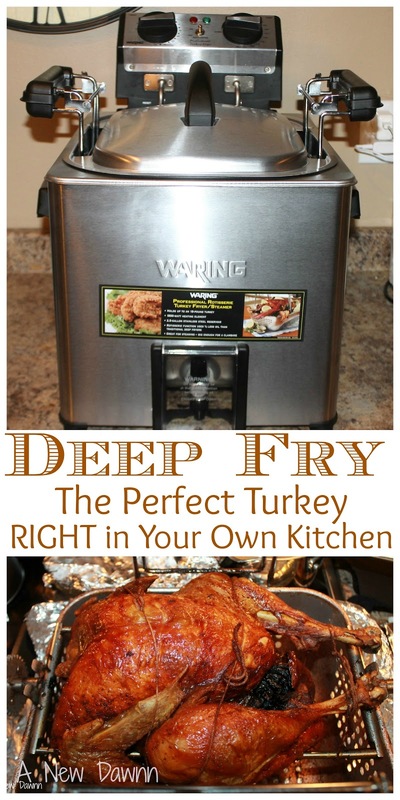 I've always wanted to try deep frying a turkey though. 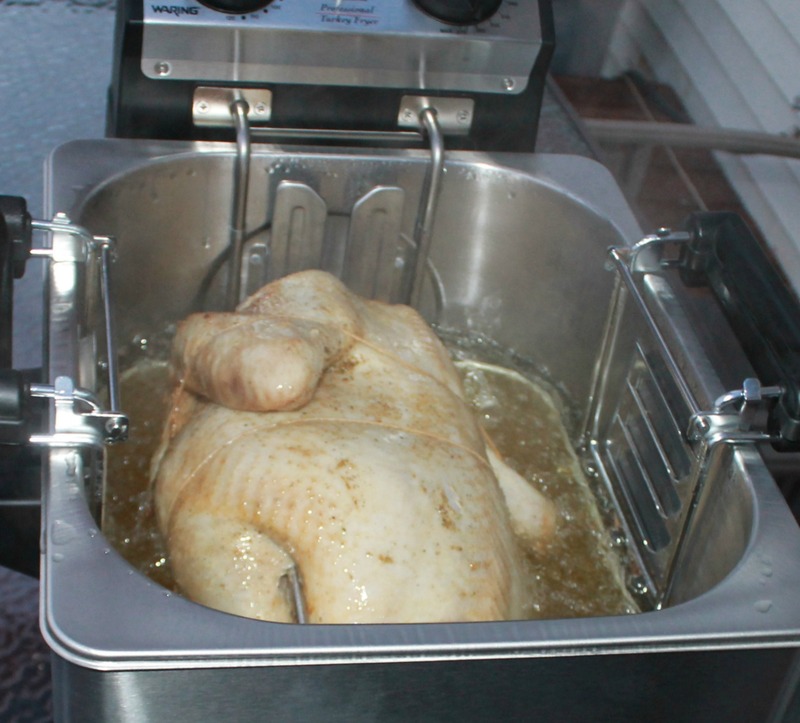 I've always wanted to deep fry a turkey, but the bog old pot of oil on a burner outside kinda scares me. This deep fryer though, would be perfect!